Gorgeous Red Goldstone palmstones, measuring 50MM long, approximately. These are a beautiful grade of Red Goldstone, and have that lovely shimmer we all know, like a beautiful sandy desert. Goldstone is not a true gemstone, and is a man made glass, made by trapping flecks of cobalt, copper or manganese inside the glass. 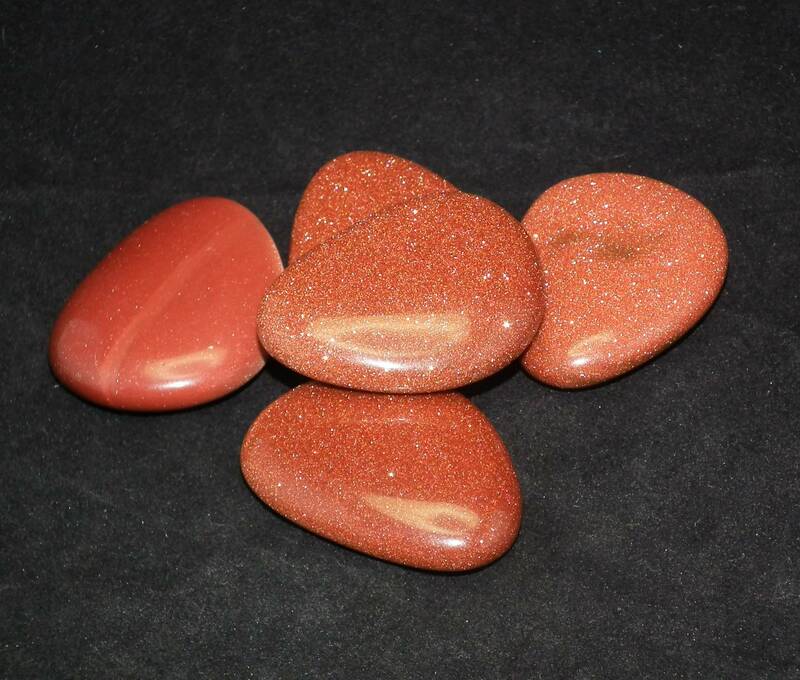 We sell a range of Red Goldstone products, including tumblestones and carved products.